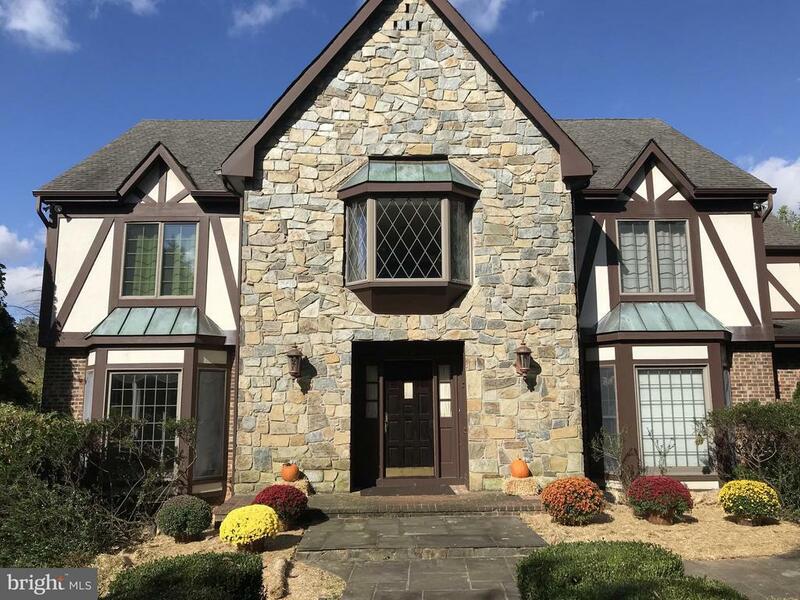 Stunning Tudor design sitting on over 2 acres of land, nestled in the heart of Great Falls, one mile from the Potomac River. Grand foyer leads to private dining room, office and living room, open sunny family room with ample space to entertain by the fireplace, and beyond to a very modern and luxurious kitchen with breakfast nook. Large deck with built-in hot tub hookup overlooks acreage and trees in this private oasis, also accessible from fully-finished walkout basement. Lot large enough for horses and/or pool. Magnificent master suite with dressing room, his & her closets outside master bath with jetted tub and separate shower. Basement with in-law/au pair suite/den and full bath and extra large unfinished area for storage. Currently a collectors dream! A truly stately home with comfort and class in the privacy with which to enjoy all this estate has to offer. Near to Tysons and Reston, Seneca Regional Park, shopping, dining, convenience, and beyond.